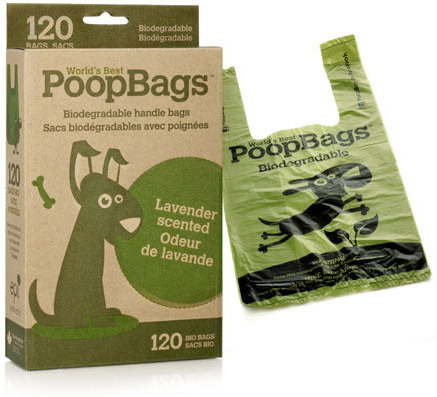 We can't tell you how excited we were when our good friend, Mr. Chewy, asked us to try one of their new products: an array of biodegradable and compostable bags for picking up after your pet, created by a small Canadian company, Earth RatedTM Poop Bags. "Why that's right up our environmentally conscious, sustainably-minded alley!" exclaimed Parental Unit (Sometimes she is soooo embarrassing). Anyway, that's how we came to receive this variety of magnificent biodegradable and/or compostable bags from Mr. Chewy. 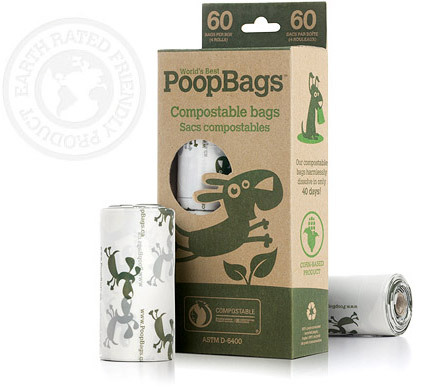 In the foreground from L-R: Compostable poop bag, Biodegradable poop bag with handles, and "regular" biodegradable poop bags. We'll explain the differences below. Yep, those are my new poop bags alright! We just happened to receive this awesome package just as were leaving for a day hike in one of our metro parks, so we took some along to try out. Fast forward to Prairie Oaks Metro Park, one of our favorite places to hike in our area. It was an old mining site that the city of Columbus restored to its natural prairie landscape. And indeed, a mighty river runs through it. Well, it may not be all that mighty, but Big Darby Creek, despite the name, is a nationally protected scenic river with one of the highest biodiversity rates of any protected river in the country, which means that it has lots of different varieties of fish, birds, insects and wildlife all in one area-and that's a good thing for our planet. I don't know about you, but I get so excited riding in the car, that the first thing I do upon arrival is...you guessed it, poop! And "you know who" was there to scoop in right up with our new biodegradable bags. Why is Parental Unit smiling while holding my nicely wrapped poop, you ask? Because these particular bags are lightly scented with natural lavender, which makes them a pleasure to use, and even a pleasure to carry for long distances. And here she is properly disposing of the bag, with my assistance, in a receptacle just for dog poop. And she's still smiling! For all other waste in this park, it's "carry in, carry out". __ Biodegradable, lavender scented bags on roles: they're large enough (9 by 13 inches) so you only need one, even for large piles of poop. But if you had to use two, there's no need for guilty feelings because these bags are completely broken down into carbon dioxide and water in as little as 24 months-that's as opposed to regular plastic bags that can hang around in landfills for about 1000 years-give or take a century or two. __ Biodegradable bags with handles-or "BioHandle Bags": These come in a box rather than on a role, are also lightly scented with natural lavender, and harmlessly degrade in about the same time as the regular biodegradable bags. __Compostable bags: For the truly green, these unscented bags are made from 100% corn-based renewable resources and fully degrade in as little as 40 days. 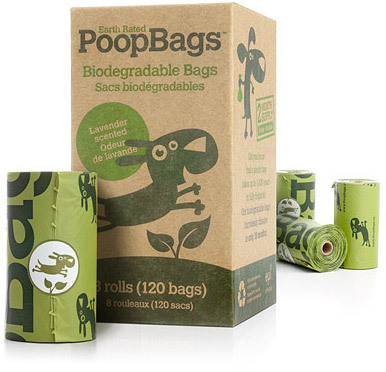 You can use these bags for more than poop! We tried them three times and in our opinion, they are just as strong and easy to use as the others. All of these Earth friendly bags are available for purchase at 1,163 stores and counting in Canada and the United States, and of course, at our favorite online pet retailer, Mr. Chewy. Why not have them delivered right to your door, right now?! But why should we make the effort to purchase biodegradable or compostable bags like these to pick up our dog's poop, rather than use those plastic bags we get in the grocery store? Because plastic bags are a near-permanent pollutant, and there are so many in use, that all of them aren't disposed of properly. And that's when bad things happen; for example, over 100,000 sea turtles and other marine animals die every year because they mistake plastic bags for food. Why contribute to the problem when a simple solution like purchasing bags like these "for just pennies a poop", that will quickly and harmlessly degrade, will help solve the problem instead? And it will make it that much easier to preserve natural areas like Prairie Oaks Park for everyone to enjoy. This is a wonderful invention! We'll have mom look for these! They look great! I hope I can find them here! I'll have to look out for green bags over here, mom use's ours as rubbish bags in the car!! I mean fresh ones not used ones!! that one photo looks like a road of water! Those sure are pawesome poop bags! Hilarious photos of you with the bags! I like the larger sizes too.